A world-renowned Harvard child psychiatrist whose work has helped fuel an explosion in the use of powerful antipsychotic medicines in children earned at least $1.6 million in consulting fees from drug makers from 2000 to 2007 but for years did not report much of this income to university officials, according to information given Congressional investigators. Senator Charles E. Grassley pushed three experts in child psychiatry at Harvard to expose their income from consulting fees. Dr. Joseph Biederman belatedly reported at least $1.6 million in consulting fees. By failing to report income, the psychiatrist, Dr. Joseph Biederman, and a colleague in the psychiatry department at Harvard Medical School, Dr. Timothy E. Wilens, may have violated federal and university research rules designed to police potential conflicts of interest, according to Senator Charles E. Grassley, Republican of Iowa. Some of their research is financed by government grants. Like Dr. Biederman, Dr. Wilens belatedly reported earning at least $1.6 million from 2000 to 2007, and another Harvard colleague, Dr. Thomas Spencer, reported earning at least $1 million after being pressed by Mr. Grassley’s investigators. But even these amended disclosures may understate the researchers’ outside income because some entries contradict payment information from drug makers, Mr. Grassley found. In one example, Dr. Biederman reported no income from Johnson & Johnson for 2001 in a disclosure report filed with the university. When asked recently to check again, he reported receiving $3,500. But Johnson & Johnson told Mr. Grassley that it paid him $58,169 in 2001, Mr. Grassley found. The Harvard group’s consulting arrangements with drug makers were already controversial because of the researchers’ advocacy of unapproved uses of psychiatric medicines in children. In an e-mailed statement, Dr. Biederman said, “My interests are solely in the advancement of medical treatment through rigorous and objective study,” and he said he took conflict-of-interest policies “very seriously.” Drs. Wilens and Spencer said in e-mailed statements that they thought they had complied with conflict-of-interest rules. The federal grants received by Drs. 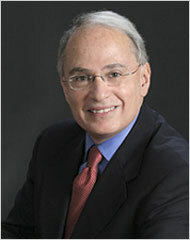 Biederman and Wilens were administered by Massachusetts General Hospital, which in 2005 won $287 million in such grants. The health institutes could place restrictions on the hospital’s grants or even suspend them altogether. Ms. Kneller said the doctors had been referred to a university conflict committee for review. Mr. Grassley sent letters on Wednesday to Harvard and the health institutes outlining his investigators’ findings, and he placed the letters along with his comments in The Congressional Record. Dr. Biederman is one of the most influential researchers in child psychiatry and is widely admired for focusing the field’s attention on its most troubled young patients. Although many of his studies are small and often financed by drug makers, his work helped to fuel a controversial 40-fold increase from 1994 to 2003 in the diagnosis of pediatric bipolar disorder, which is characterized by severe mood swings, and a rapid rise in the use of antipsychotic medicines in children. The Grassley investigation did not address research quality. Doctors have known for years that antipsychotic drugs, sometimes called major tranquilizers, can quickly subdue children. But youngsters appear to be especially susceptible to the weight gain and metabolic problems caused by the drugs, and it is far from clear that the medications improve children’s lives over time, experts say. In the last 25 years, drug and device makers have displaced the federal government as the primary source of research financing, and industry support is vital to many university research programs. But as corporate research executives recruit the brightest scientists, their brethren in marketing departments have discovered that some of these same scientists can be terrific pitchmen. To protect research integrity, the National Institutes of Health require researchers to report to universities earnings of $10,000 or more per year, for instance, in consulting money from makers of drugs also studied by the researchers in federally financed trials. Universities manage financial conflicts by requiring that the money be disclosed to research subjects, among other measures. The health institutes last year awarded more than $23 billion in grants to more than 325,000 researchers at over 3,000 universities, and auditing the potential conflicts of each grantee would be impossible, health institutes officials have long insisted. So the government relies on universities. Universities ask professors to report their conflicts but do almost nothing to verify the accuracy of these voluntary disclosures. Some states have laws requiring drug makers to disclose payments made to doctors, and Mr. Grassley and others have sponsored legislation to create a national registry. Lawmakers have been concerned in recent years about the use of unapproved medications in children and the influence of industry money. Mr. Grassley asked Harvard for the three researchers’ financial disclosure reports from 2000 through 2007 and asked some drug makers to list payments made to them. Prompted by Mr. Grassley’s interest, Harvard asked the researchers to re-examine their disclosure reports. In the new disclosures, the trio’s outside consulting income jumped but was still contradicted by reports sent to Mr. Grassley from some of the companies. In some cases, the income seems to have put the researchers in violation of university and federal rules. In 2000, for instance, Dr. Biederman received a grant from the National Institutes of Health to study in children Strattera, an Eli Lilly drug for attention deficit disorder. Dr. Biederman reported to Harvard that he received less than $10,000 from Lilly that year, but the company told Mr. Grassley that it paid Dr. Biederman more than $14,000 in 2000, Mr. Grassley’s letter stated. At the time, Harvard forbade professors from conducting clinical trials if they received payments over $10,000 from the company whose product was being studied, and federal rules required such conflicts to be managed. Mr. Grassley said these discrepancies demonstrated profound flaws in the oversight of researchers’ financial conflicts and the need for a national registry. But the disclosures may also cloud the work of one of the most prominent group of child psychiatrists in the world. In the past decade, Dr. Biederman and his colleagues have promoted the aggressive diagnosis and drug treatment of childhood bipolar disorder, a mood problem once thought confined to adults. They have maintained that the disorder was underdiagnosed in children and could be treated with antipsychotic drugs, medications invented to treat schizophrenia. Other researchers have made similar assertions. As a result, pediatric bipolar diagnoses and antipsychotic drug use in children have soared. Some 500,000 children and teenagers were given at least one prescription for an antipsychotic in 2007, including 20,500 under 6 years of age, according to Medco Health Solutions, a pharmacy benefit manager. Few psychiatrists today doubt that bipolar disorder can strike in the early teenage years, or that many of the children being given the diagnosis are deeply distressed. Longtime critics of the group see its influence differently. “They have given the Harvard imprimatur to this commercial experimentation on children,” said Vera Sharav, president and founder of the Alliance for Human Research Protection, a patient advocacy group. Many researchers strongly disagree over what bipolar looks like in youngsters, and some now fear the definition has been expanded unnecessarily, due in part to the Harvard group. The group published the results of a string of drug trials from 2001 to 2006, but the studies were so small and loosely designed that they were largely inconclusive, experts say. In some studies testing antipsychotic drugs, the group defined improvement as a decline of 30 percent or more on a scale called the Young Mania Rating Scale — well below the 50 percent change that most researchers now use as the standard. Controlling for bias is especially important in such work, given that the scale is subjective, and raters often depend on reports from parents and children, several top psychiatrists said. More broadly, they said, revelations of undisclosed payments from drug makers to leading researchers are especially damaging for psychiatry.